There’s certainly no shortage of things to do, and places to stay, in Cape Town. But if you’re looking for a bit more peace and tranquillity, or just a different vista to enjoy, there are dozens of amazing farm stay options just a short drive away. Whether you’re looking for a luxurious retreat far from anyone else, or a budget stay on a working farm, chances are there’s a farm stay to suit you. If you’re looking for a luxurious stay on a working wine farm, then you can’t go wrong with the converted manor house and cottages at Vrede en Lust. The original house dates back to the late 1600s, but it’s since been converted into immaculate, well-equipped cottages and a house. Though each offers a comfortable and luxurious stay, it still feels as if you’ve taken a step back into history and careful attention has been paid to the details of old. Brenaissance Wine & Stud Estate is another idyllic overnight option set on a working farm in the heart of the Cape winelands. 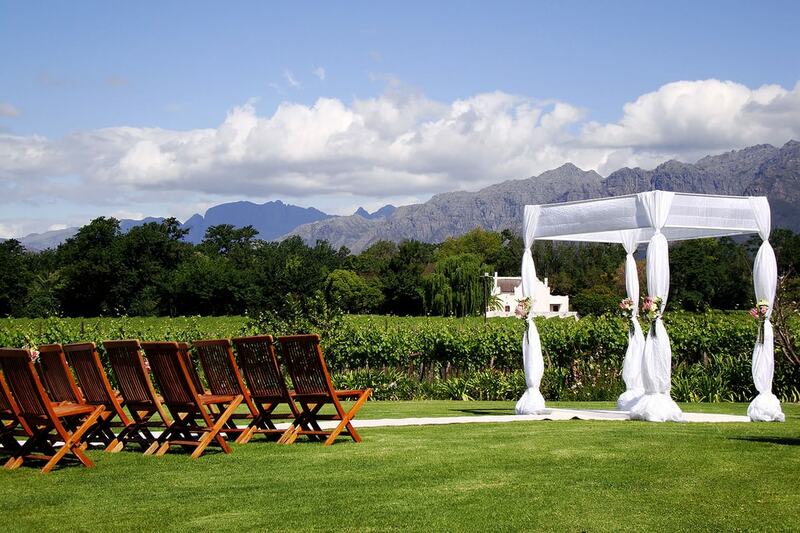 The estate offers a range of luxurious suites situated just a few kilometres outside of the town of Stellenbosch, and there are superb mountain and vineyard views. Orange Grove Farm offers a variety of luxurious chalets set on a working wine and olive farm in the beautiful Robertson Valley. The chalets have plunge pools and patios from which to take in the beautiful views of the surrounding mountains. The equipped kitchen and braai (barbecue) facilities mean there’s little reason to leave your chalet, though given the attractions in the surrounding valley, you’d be wise to do some exploring. This working pig farm is located just outside the town of Caledon in the beautiful Hemel and Aarde Valley. There are three cottages available to guests, each of which is tastefully decorated and well laid out. If you’re visiting with plenty of friends, there’s also a campsite that can accommodate up to 30 people and must be booked out by a single group. 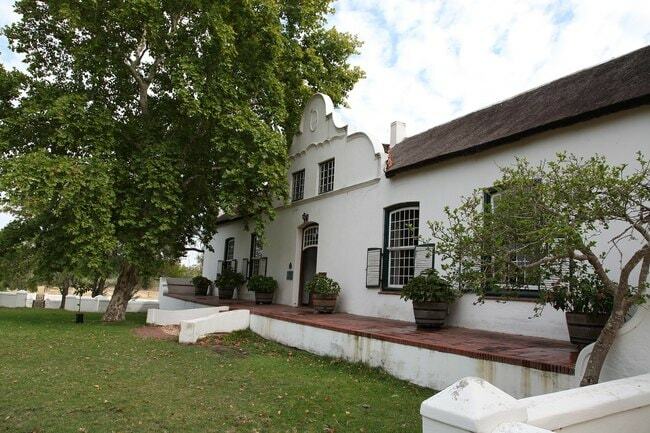 Kersefontein farm, with its beautiful Cape Dutch architecture and selection of outbuildings, dates back to 1770. The farm has been worked by eight generations since its inception, and staying there offers a fascinating insight into the farming lifestyle without sacrificing any of the peace and tranquillity of a traditional farm stay. If you’re looking for a farm stay in the beautiful Overberg region, Landmeterskop will have you covered. 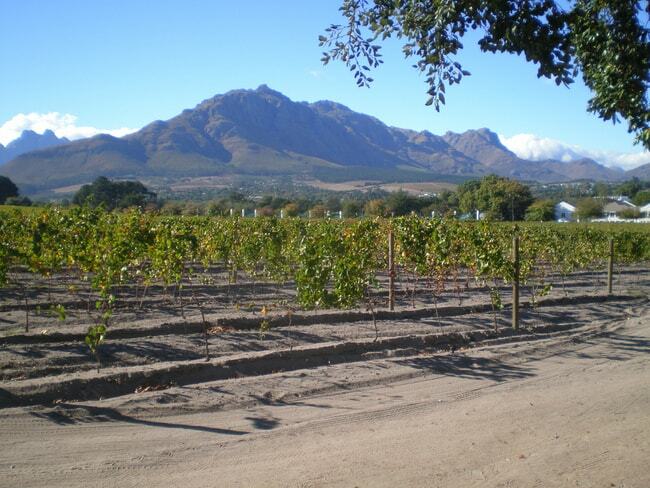 This working sheep farm is located just outside Stanford and offers incredible views of the distant mountains. 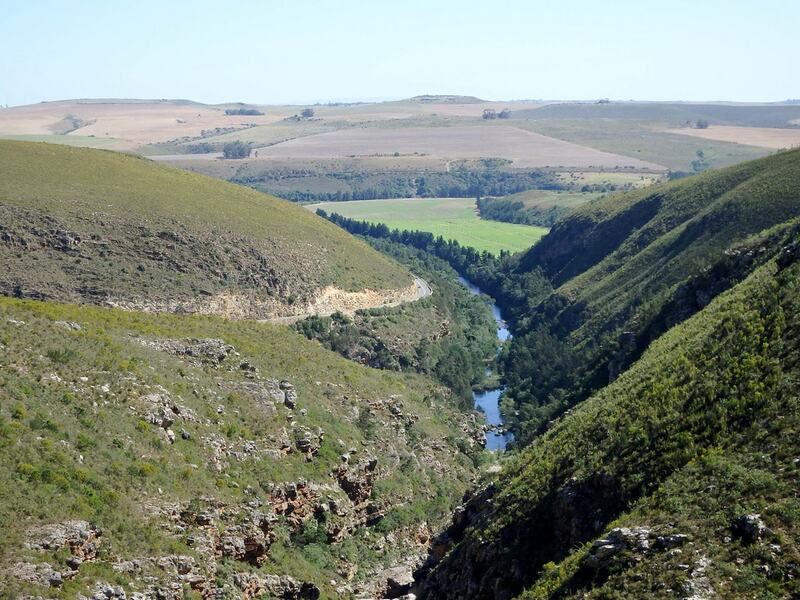 Serene meadows, a creek running through the farm and dams suitable for swimming and picnicking make this a fantastic escape just a short, scenic drive from Cape Town. Guests can book simple, well-equipped cottages, or the spacious homestead more suitable for large groups or families. 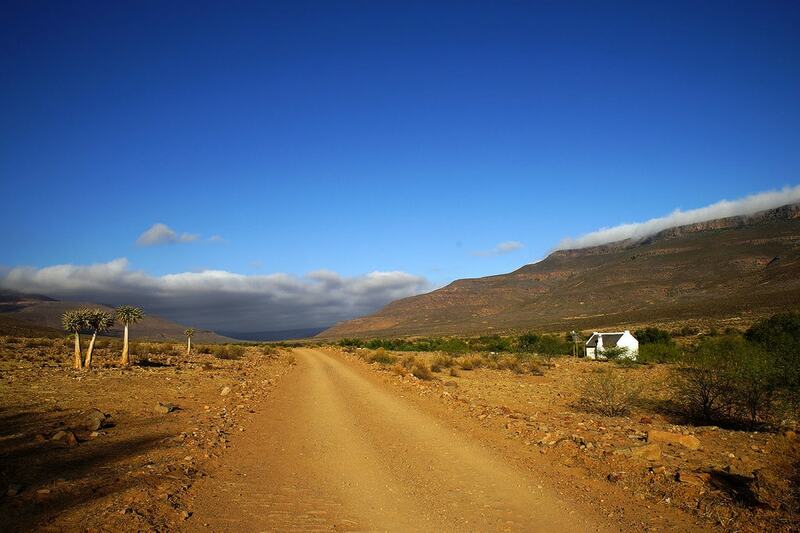 Alpha Excelsior Guest Farm is situated in the heart of Rocklands, one of the most celebrated bouldering sites in the world, and on the edge of the beautiful Cederberg wilderness area. It’s a secluded guest farm that will make an ideal base for anyone looking to explore the beauty and history of the surrounding region. There are five cottages to choose from, or if you’re travelling in a large group, you can book out the Old Farm House or Cape Dutch homestead. 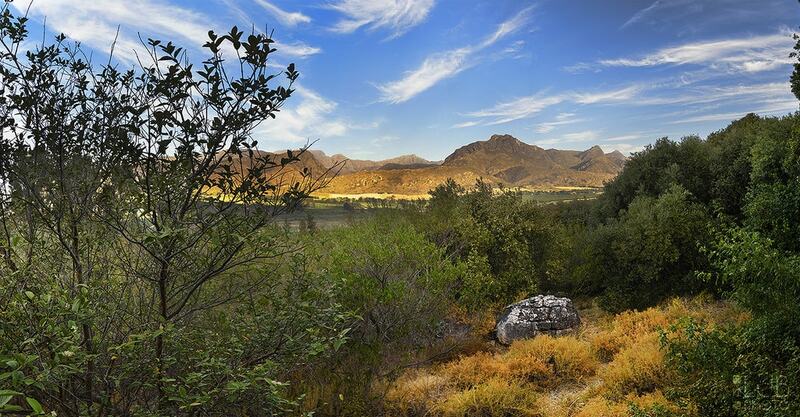 This tranquil farm in the heart of the Cederberg is an idyllic escape from the city. With little more than a few beautiful farm buildings and endless views of mountains, flowers and a small spring-fed dam, there’s no choice but to relax on this incredible farm. If you start to feel restless, there are hiking and mountain bike trails, as well as several nearby farms that serve up rooibos tea at source. There are several accommodation options on the farm, from a standalone, off-the-grid cottage through to campsites and chalets. This working fruit farm in Robertson is just two hours from Cape Town, and yet it feels like it’s a world away. There are several self-catering cottages to choose from, set at the foot of the Langeberg mountains. Each has a private pool, patio, fireplace and incredible views of the surrounding natural beauty. Though it’s a working fruit farm, there’s also plenty of wildlife on the property, from baboons and klipspringers through to porcupines, and an abundance of fascinating birdlife. This self-catering farm stay option is located just two hours from Cape Town in the beautiful valley of Citrusdal. 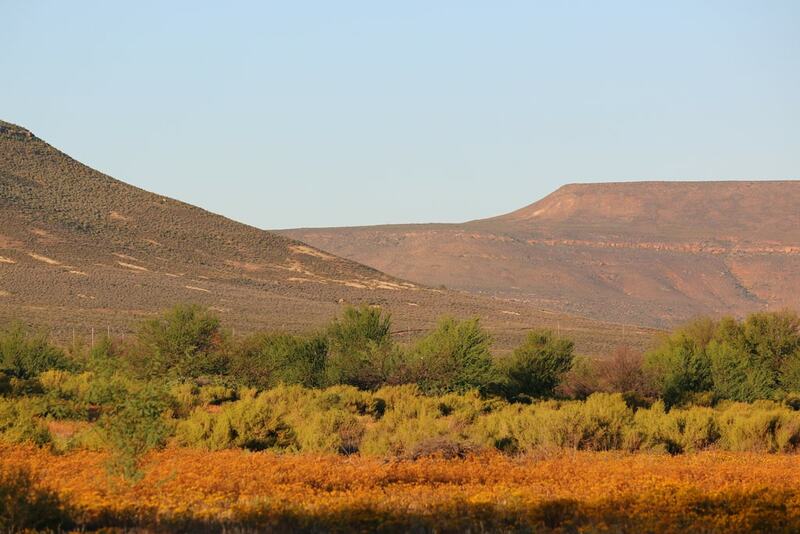 The farm overlooks the dramatic Cederberg mountain range, and produces citrus and rooibos for the export market. There are four fully equipped self-catering cottages on the farm, each of which is set apart in the vast wilderness area. 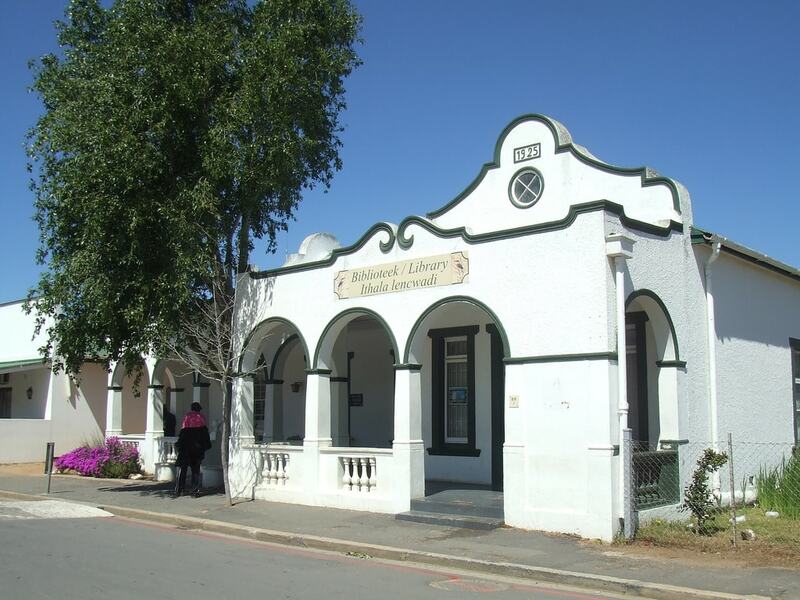 The quaint town of McGregor offers a variety of accommodation, including a selection of farm stays on the outskirts. The peaceful and rustic Whipstock Guest Farm is one such establishment. They offer peaceful self-catering cottages that are well priced and perfectly equipped. It’s the perfect base from which to explore the surrounding mountains, whether you’re looking to do some birdwatching or canoeing or head for the hills for some hiking.